In Ciclomanías we strive to reduce our environmental footprint, including environmental impacts associated with the manufacture of our products, as well as with their final disposal. 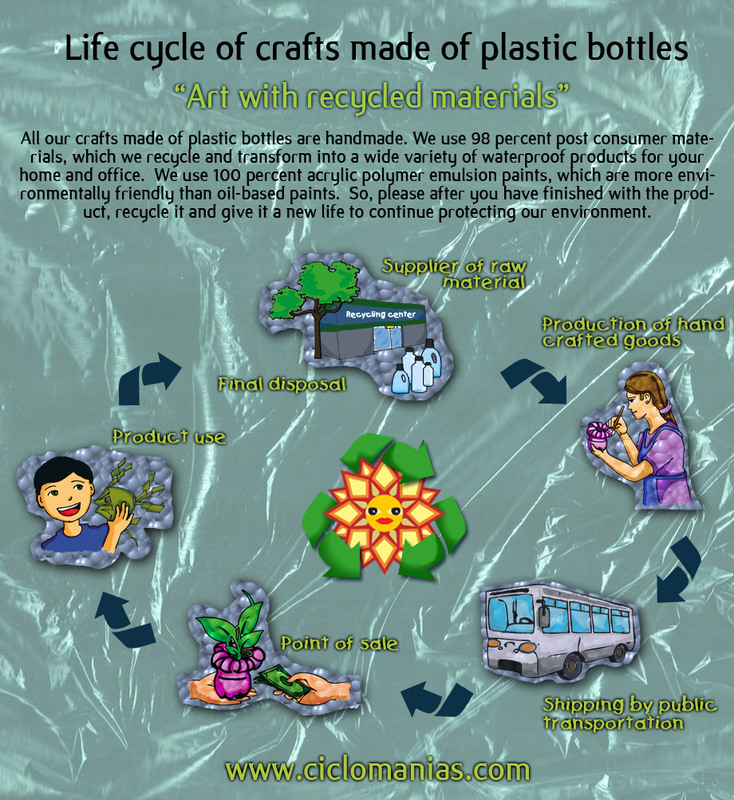 That is why, 98% of our raw materials are made of post consumer materials, such as corrugated cardboard and plastic bottles. 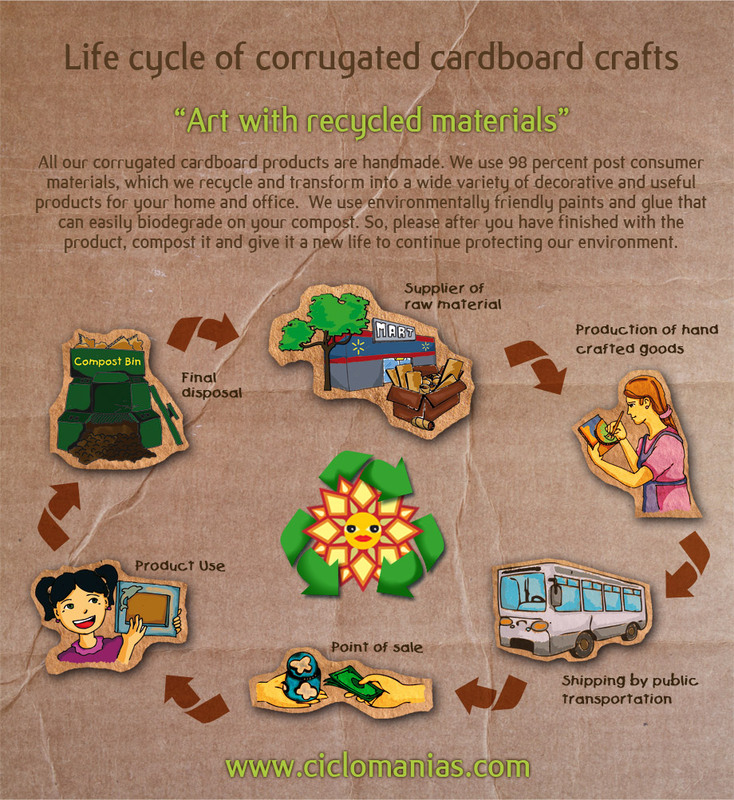 Here are the life cycles of corrugated cardboard and plastic bottles hand crafted goods that we make especially for you.